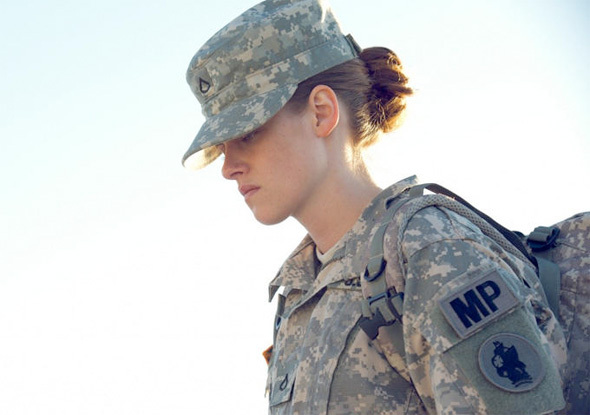 Following a debut at the Sundance Film Festival earlier this year, IFC Films picked up the Guantanamo Bay drama Camp X-Ray starring The Twilight Saga star Kristen Stewart. The film follows a female soldier stationed at the infamous detainment facility for prisoners capture during the War on Terror. It's a timely setting for a promising story, but unfortunately, I found little to like about the film which felt contrived, cliche and melodramatic, with a performance that sadly did little to convince me that Stewart is a gifted actress. Anyway, some new photos from the film have surfaced, so there's likely a trailer coming soon. Look! Camp X-Ray is written and directed by Peter Sattler, making his feature debut. 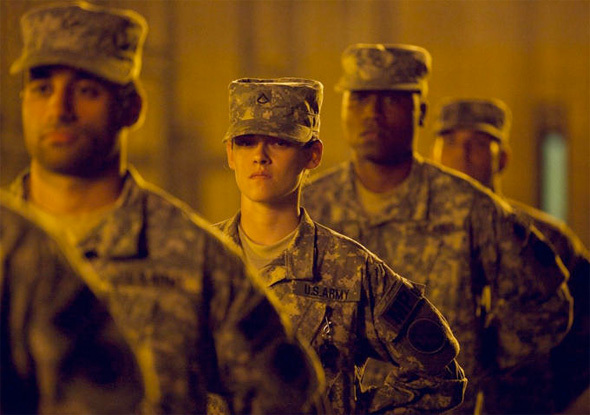 A young woman (Kristen Stewart) joins the military to be part of something bigger than herself and her small-town. Instead, she ends up as a guard at Guantanamo Bay. Surrounded by hostile jihadists and aggressive squadmates, she strikes up an unusual friendship with one of the detainees (Payman Maadi). As two people on opposite sides of a war, they struggle to find their way through the ethical quagmire of Guantanamo Bay, but form an unlikely bond changing them both. IFC Films picked up the film from Sundance but there's no release date set yet. I feel like putting Stewart in ANYTHING immediately puts the movie in "not to be taken seriously" territory. I can't wait to see this movie she is getting great reviews for this film! Always be suspect when the reviewer/reporter mentions Twilight. Ms. Stewart has a very large body of outstanding work that speaks for itself. Sounds interesting. But Stewart is off putting in most things she is in. Agree with Brian's comment.